I recently had a very pleasant lunch with someone who asked me why I hadn’t been writing about hockey lately. His question was part of his larger concern for how I’ve been doing. As I’ve been saying all along, in the big picture, I feel that I’m doing fine. Or, at least as fine as can be expected. 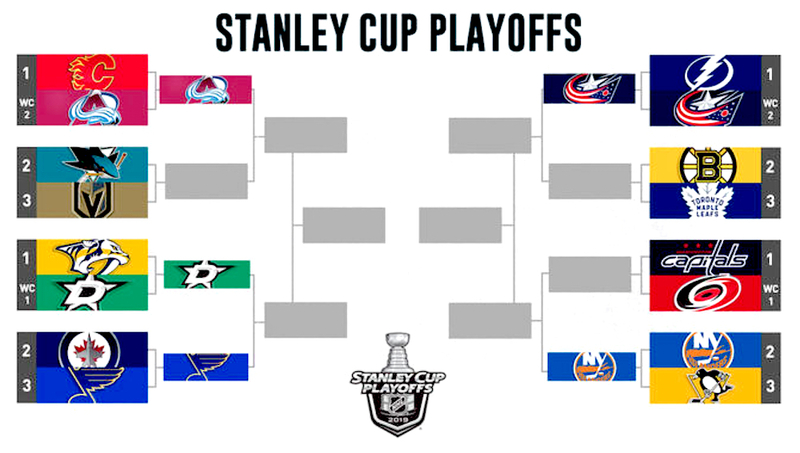 With upsets and more potential upsets abounding in the playoffs already, I read recently that this year marks the first time since NHL Expansion in 1967–68 that the top-ranked teams in both Conferences (or Divisions as it used to be) have been eliminated in the first round. The top teams in each Conference aren’t guaranteed to be the top two teams in the overall standings, but this year the Tampa Bay Lightning and the Calgary Flames did indeed rank 1–2 and yet both were bounced quickly. 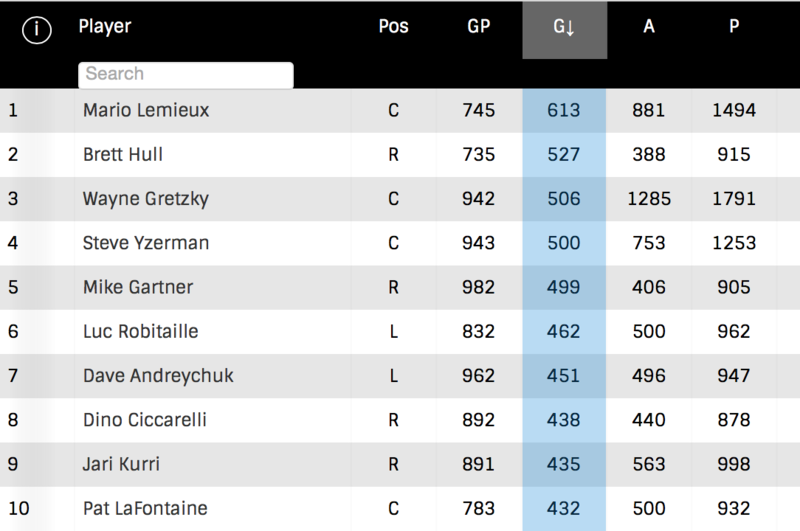 First-round results from the 2019 NHL playoffs. Even before expansion, such a double elimination was very rare. In the 25 years from 1942–43 through 1966–67, there were only two times when teams that finished 1–2 atop the six-team standings got knocked out in the first round of the playoffs. In 1964, third-place Toronto and fourth-place Detroit eliminated Montreal and Chicago before the Maple Leafs defeated the Red Wings to win the Stanley Cup. 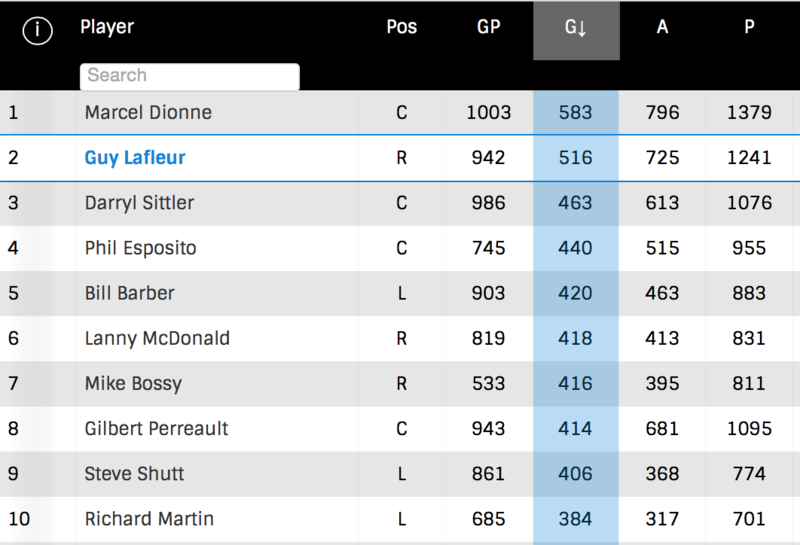 Prior to that, in 1961, third-place Chicago and fourth-place Detroit knocked off Montreal and Toronto before the Blackhawks (still written as Black Hawks back then) beat the Red Wings in the finals. That’s it. 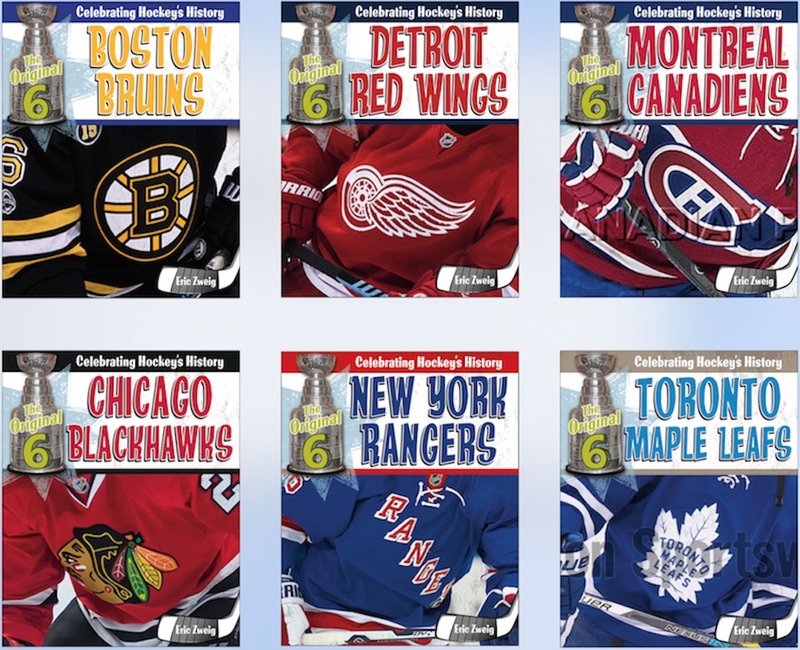 Prior to the so-called “Original Six” era, the NHL featured between eight and ten teams playing in two divisions for 12 seasons from 1926–27 through 1937–38. Never in that time did the top teams from both divisions get eliminated in the opening round of the playoffs … but that was because it was impossible under the playoff formats at that time. In 1927 and 1928, first-place teams got a first-round bye in a format very similar to the way the Canadian Football League playoffs have usually operated. 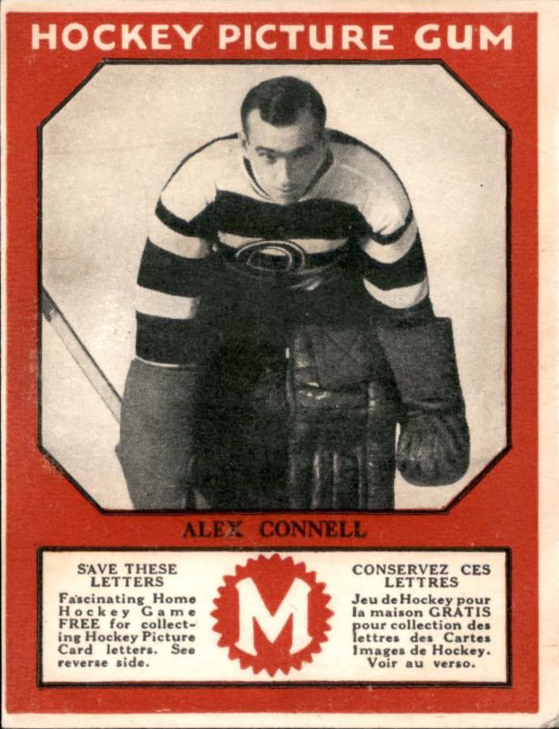 In 1928, both first-place teams from the regular season (the Montreal Canadiens and the Boston Bruins) came off their short first-round layoff and were eliminated in the division finals. After pulling off those upsets, the second-place New York Rangers then faced the second-place Montreal Maroons in the Stanley Cup Final. The Rangers won. 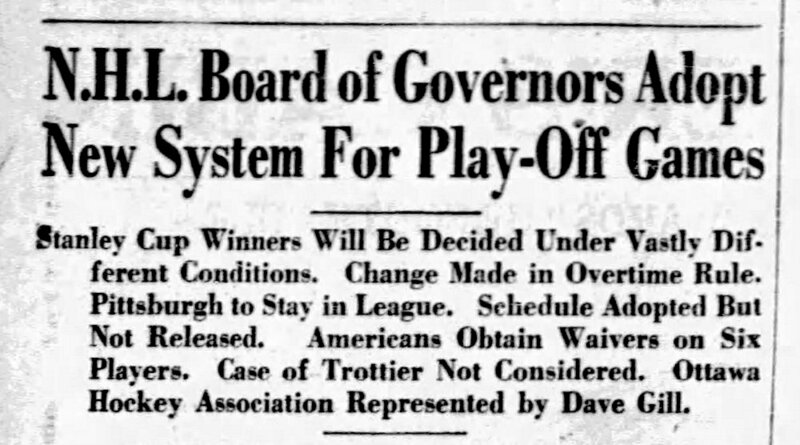 playoff format and other changes heading into the 1928–29 season. 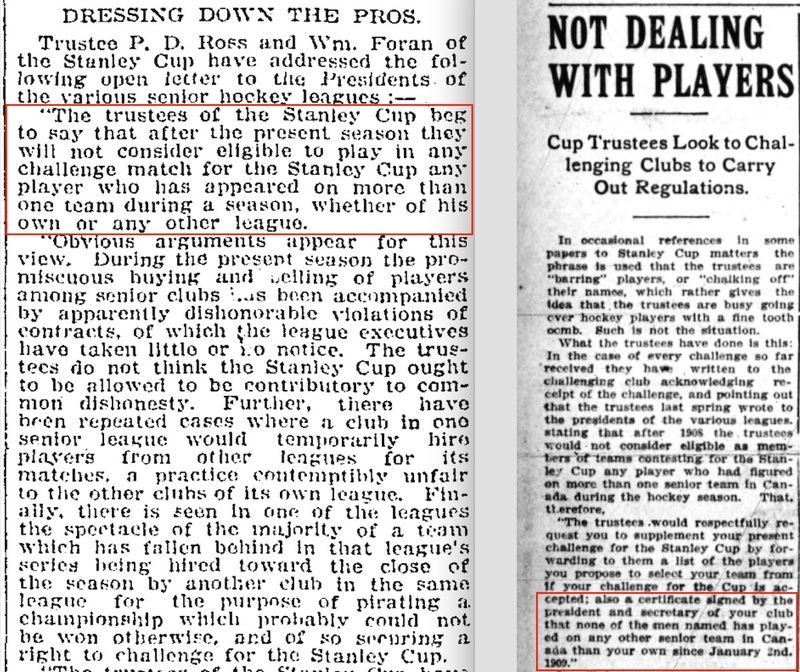 There were those who wondered if the time off in the first round dulled the two division champions, and the NHL certainly wasn’t happy with the fact that neither first-place team got to play for the Stanley Cup. 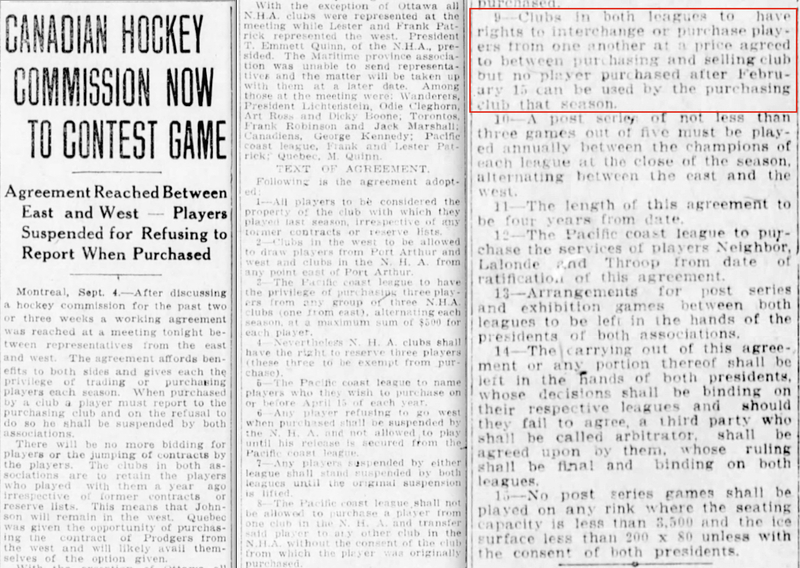 So Art Ross and Charles Adams of the Boston Bruins proposed a new playoff format that was accepted for the 1928–29 season. With a few tweaks, it would essentially remain in place until the 1942–43 season — although even with all the complaints about the current playoff system, this one looks awfully strange from a modern perspective. 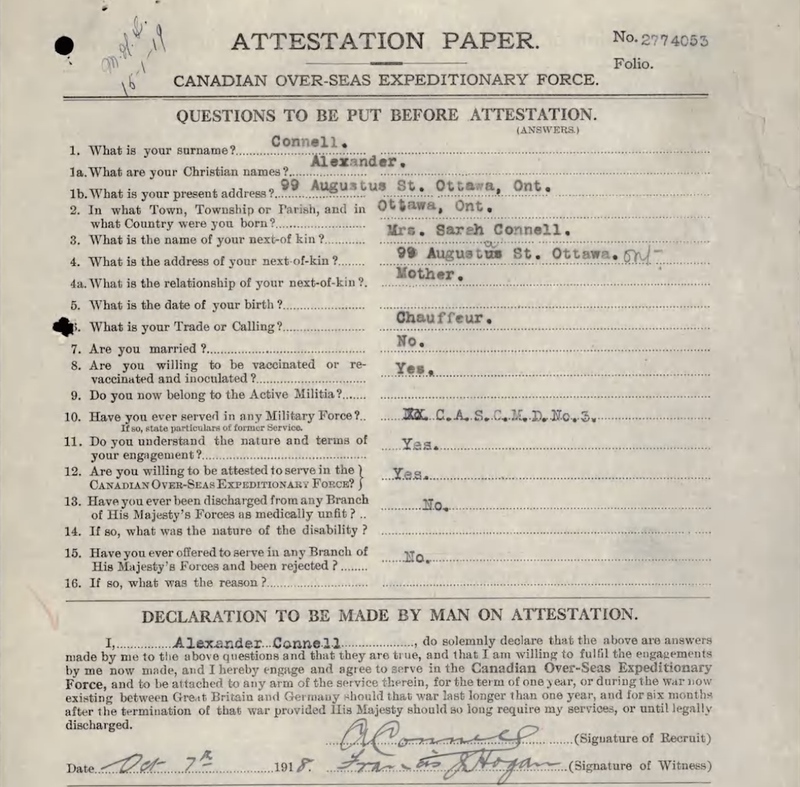 The new format basically created a two-tier playoff in which the first-place team from the Canadian Division faced the first-place team in the American Division in a best-of-five series with the winner advancing directly to the Stanley Cup Final. Meanwhile, the second- and third-place teams essentially played their own short tournament to determine the other finalist. 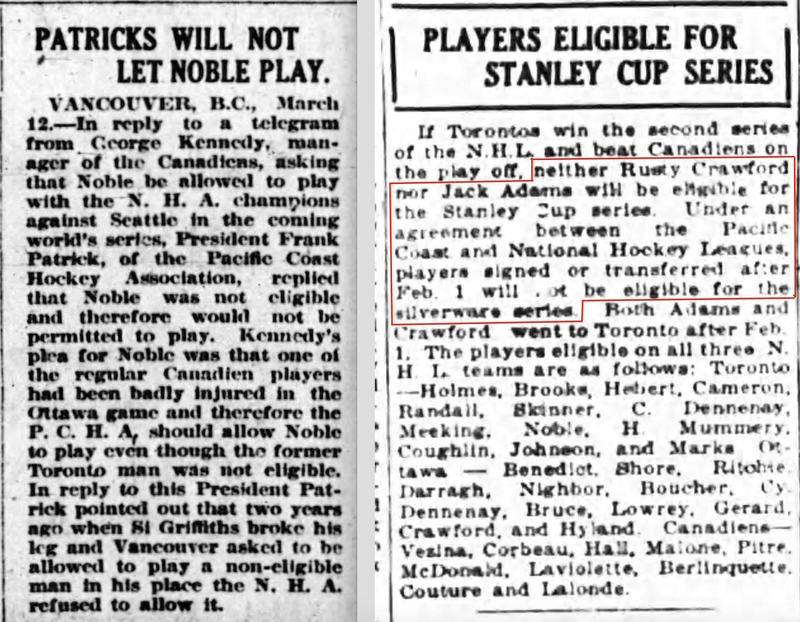 “The change in the rules,” reported the Montreal Gazette on September 24, 1928, “guarantees that at least one of the teams winning the top rung at the end of the scheduled series will be assured of a place in the [finals].” Of course, it also guaranteed that one first-place team would be eliminated! 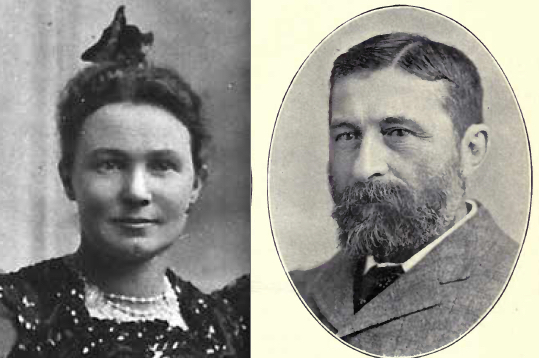 But it was impossible to eliminate them both. And it did create a viable way of keeping all teams active in a six-team playoff format. 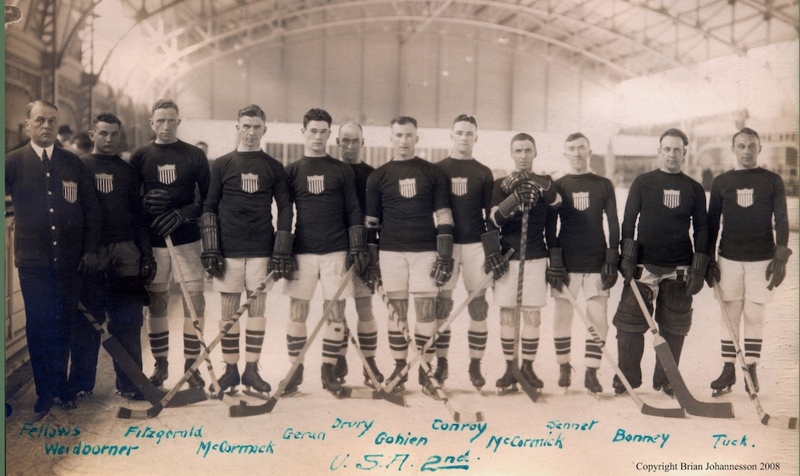 over the Bruins in 1938. Turk Broda relaxes in his Boston hotel room. Another historic note regarding the early ouster of Tampa Bay this year is that it marks the first time in the post-Expansion era that the team that finished first overall in the regular-season standings was eliminated from the playoffs without winning a single game. 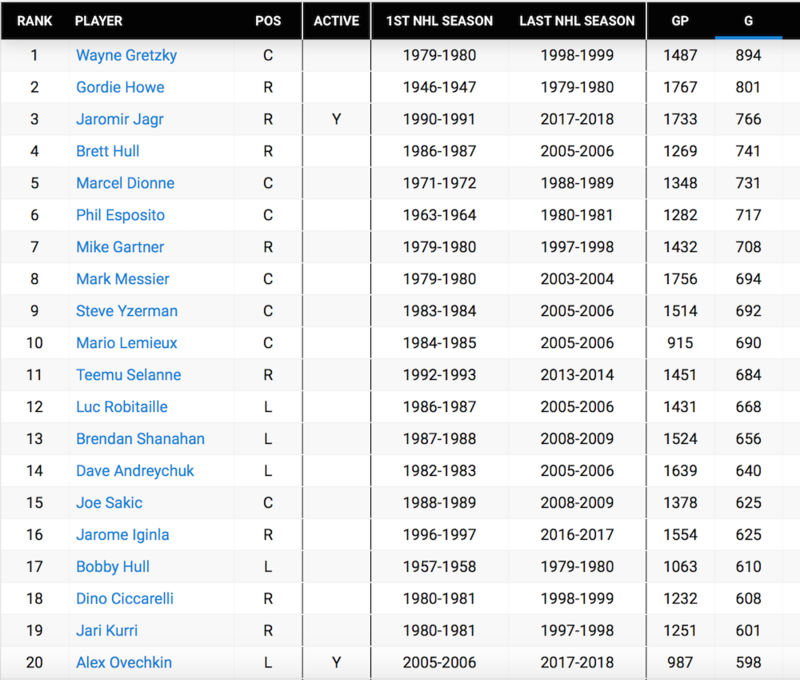 This has also happened previously, in earlier days of NHL history when series were only two, three or five games long, but it hasn’t happened since 1938. That year, the Toronto Maple Leafs (who’d finished atop the Canadian Division, but only third overall in the NHL standings) swept the first-place Boston Bruins in three straight games. 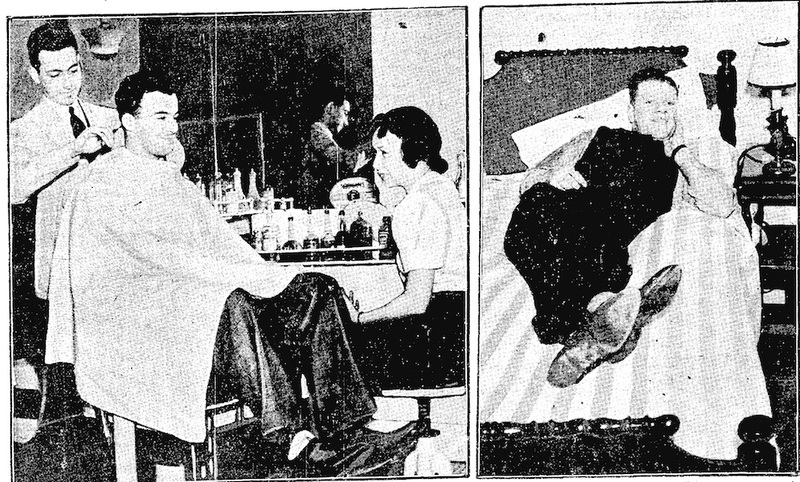 That 1938 victory over Boston offers something of a cautionary tale to Toronto fans who believe Tampa’s loss and the other upsets clear an easy path to the Finals for the Maple Leafs if they should get past the Bruins tonight. 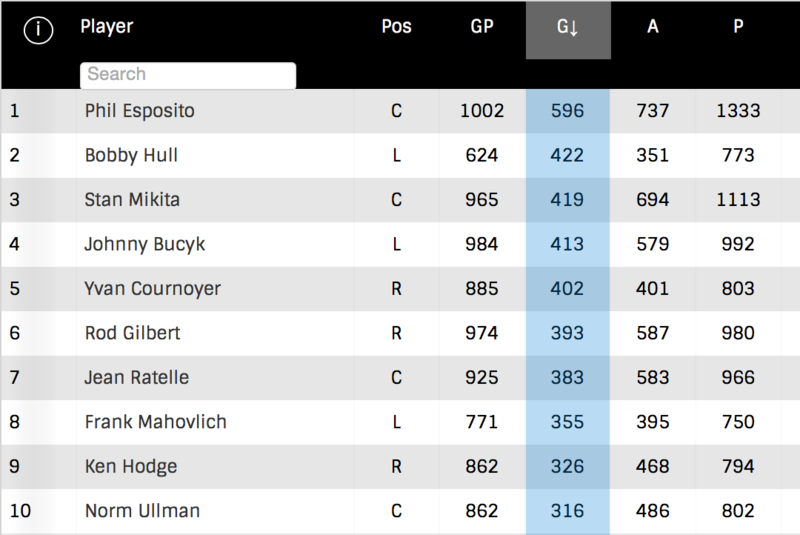 There were upsets aplenty during the 1938 playoffs as well, and a Toronto team that should have easily defeat Chicago for the Stanley Cup lost to what will likely forever be the team with the worst record (14-25-9 in a 48-game season) ever to win it. But I’m guessing Toronto fans will be happy to take their chances if the Maple Leafs can just beat the Bruins! The death of former NHL goalie Ray Emery, who drowned in Lake Ontario at Hamilton this weekend at the age of 35, brought to mind the deaths of two other old-time hockey players. 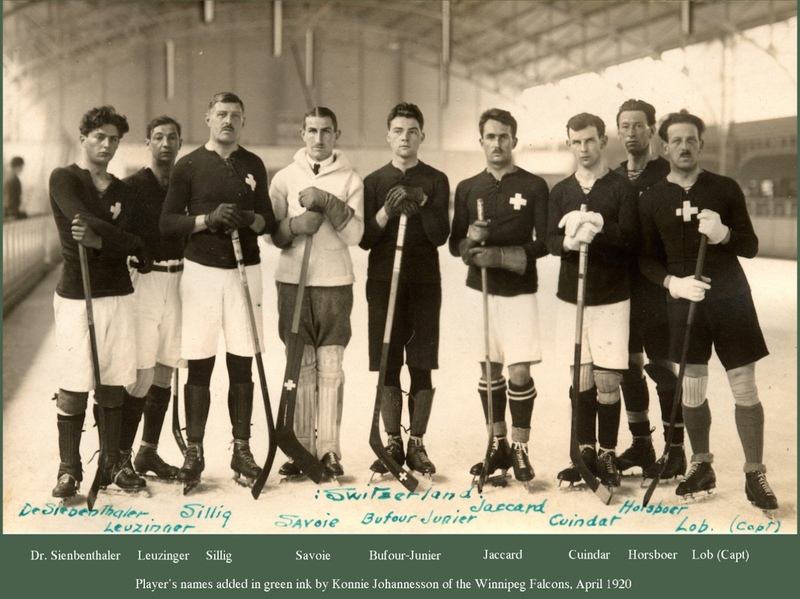 I’ve written before about the accident that killed hockey star Hod Stuart in the summer of 1907. 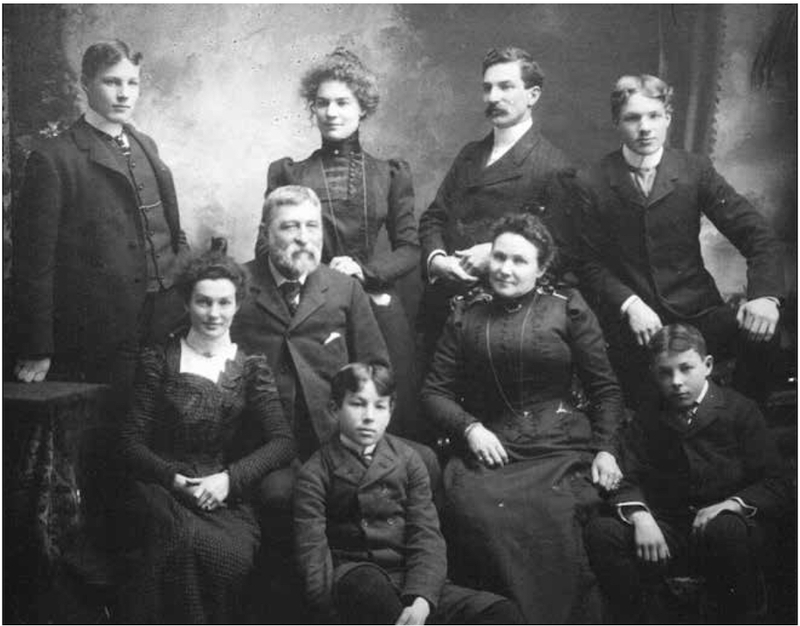 Like Stuart, Babe Siebert left a young family behind when he also drowned at the age of 35. 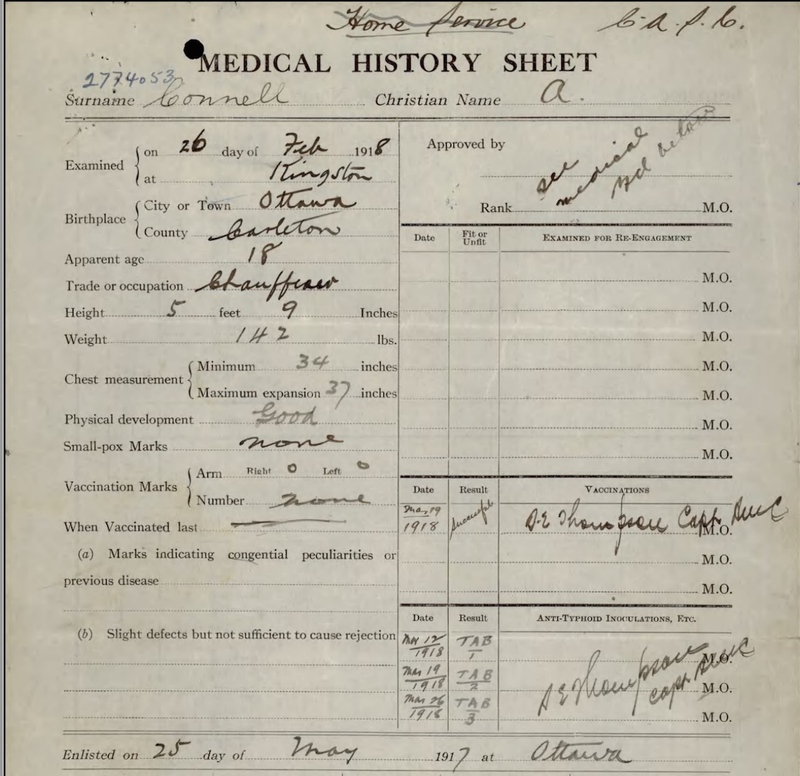 Siebert was swimming in Lake Huron near the town of St. Joseph, Ontario, on August 25, 1939. 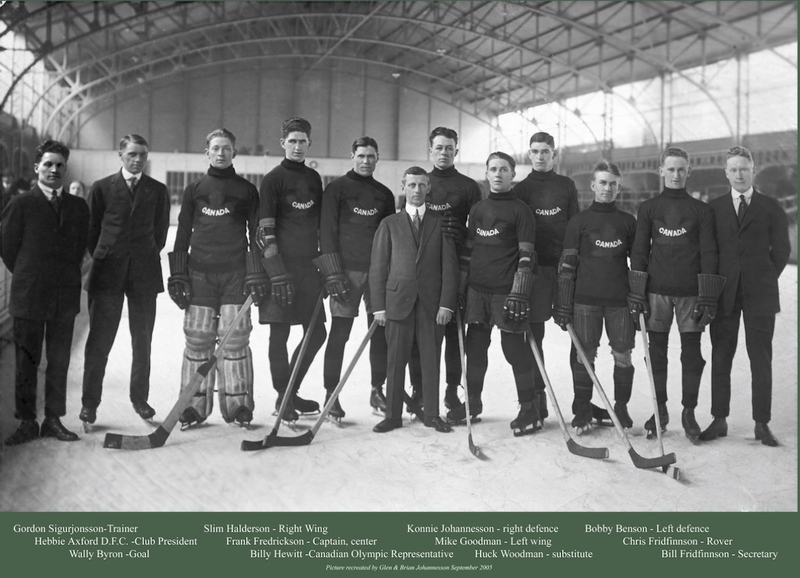 Briefly, Babe Siebert was a star forward with the Montreal Maroons from 1925 to 1932, helping the second-year team win the Stanley Cup in his rookie season of 1925–26. He later played right wing on The S-Line (or Triple-S Line) with fellow future Hall of Famers Nels Stewart and Hooley Smith. 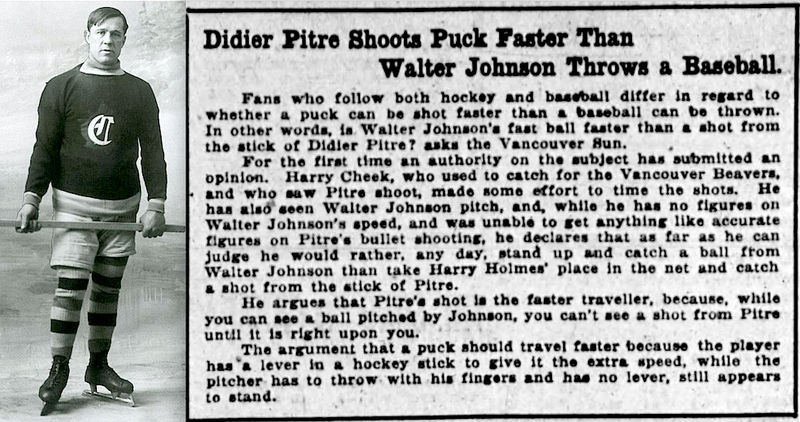 Though lacking the size of a modern power forward (Siebert was pretty big for his era at 5’10” and 182 pounds) he was as tough as he was talented. 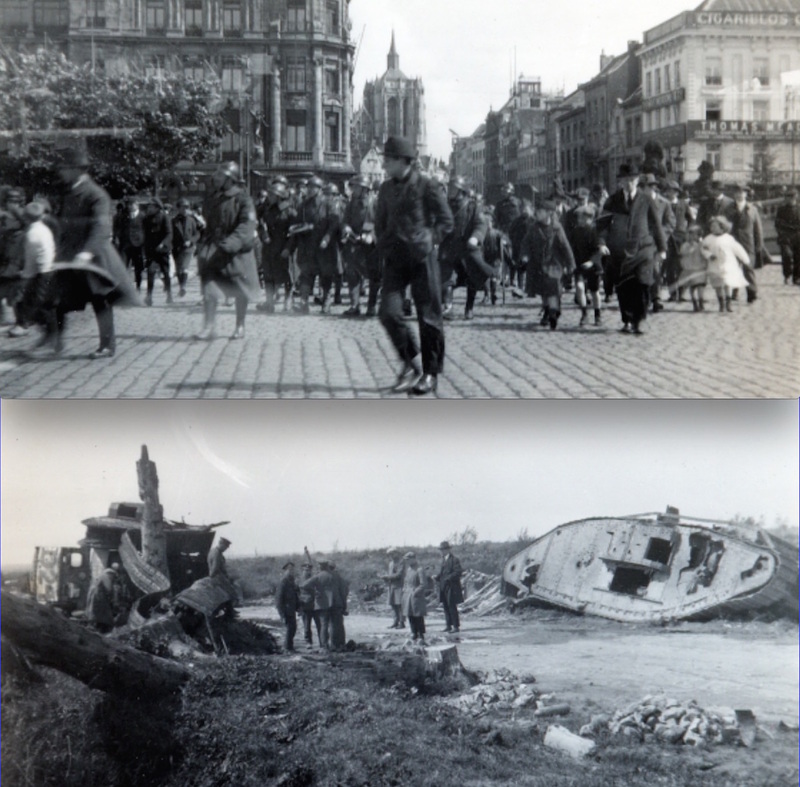 A game against the Maroons was usually a rough one. Playing with Boston in 1933–34, Siebert was moved to defense by Art Ross when Eddie Shore was suspended following the Ace Bailey Incident. Siebert soon became an All-Star at his new position, but even so, the Bruins traded him to the Canadiens before the 1936-37 season. He won the Hart Trophy as NHL MVP that year. 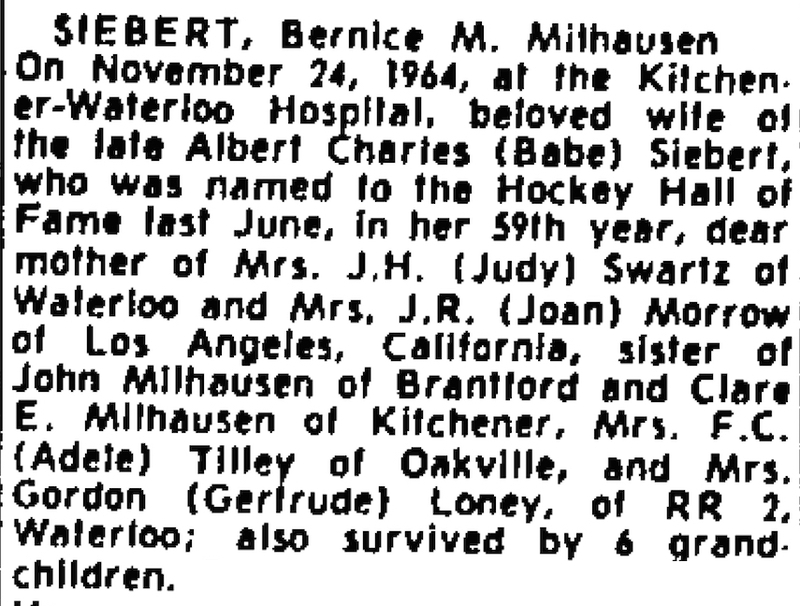 According to Siebert’s biography on the Hockey Hall of Fame web site, his wife (Bernice) had been paralyzed from the waist down after complications during the birth of their second child. 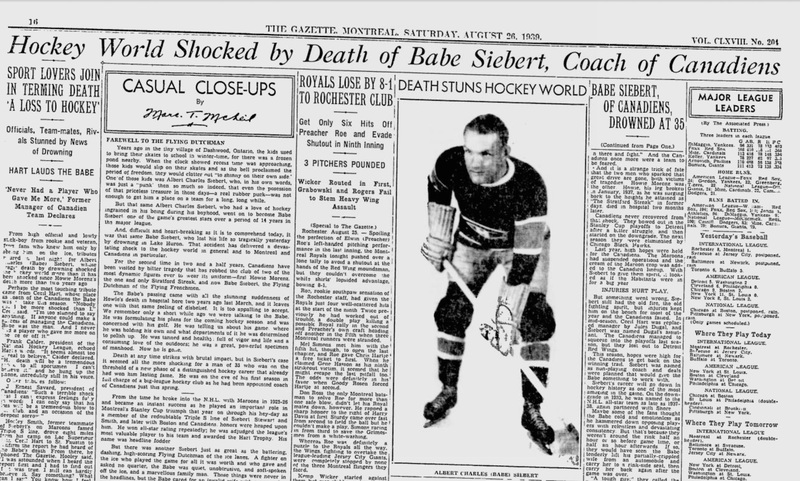 What makes Siebert’s death so tragic was that – having been named the Canadiens new head coach in June of 1939 – he was on a short vacation with his two girls, aged 10 and 11, at the time. 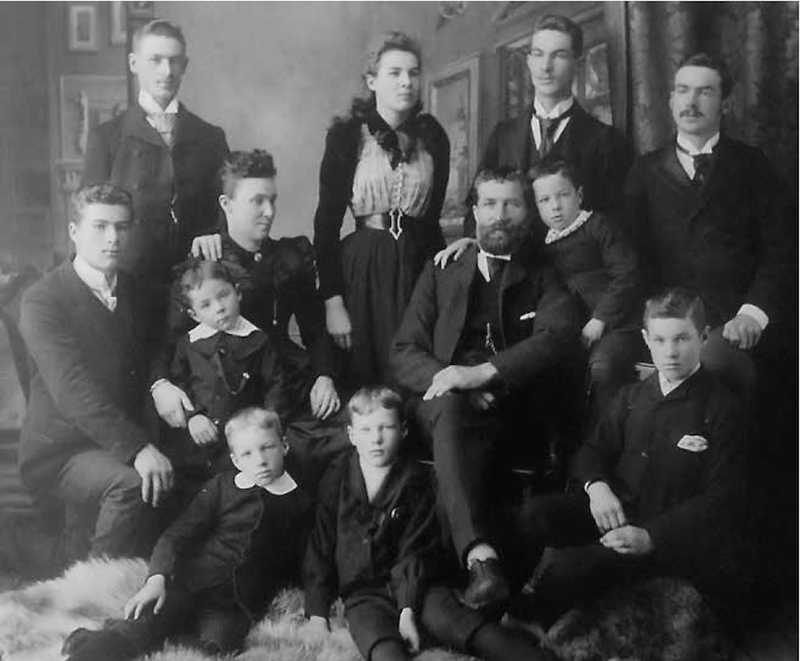 He’d brought them to his parents home in Zurich, Ontario, towards the end of August a few days before an 80th birthday party for his father. 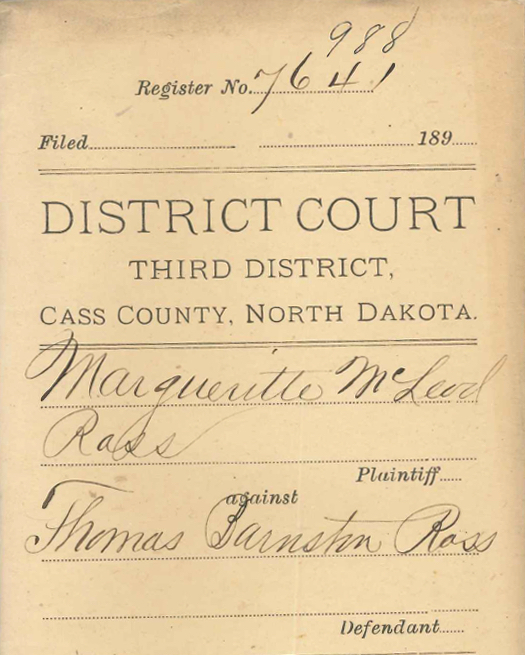 Efforts to recover Siebert’s body took three days. He was eventually found by his brother Frank and another local man in 150 feet of water about 40 feet from the spot where he’d disappeared. A funeral and burial took place in Kitchener, Ontario, on August 30. A day before the funeral, the Montreal Canadiens announced that Art Ross had proposed a benefit game with the Bruins for before the season to raise money for Siebert’s family. 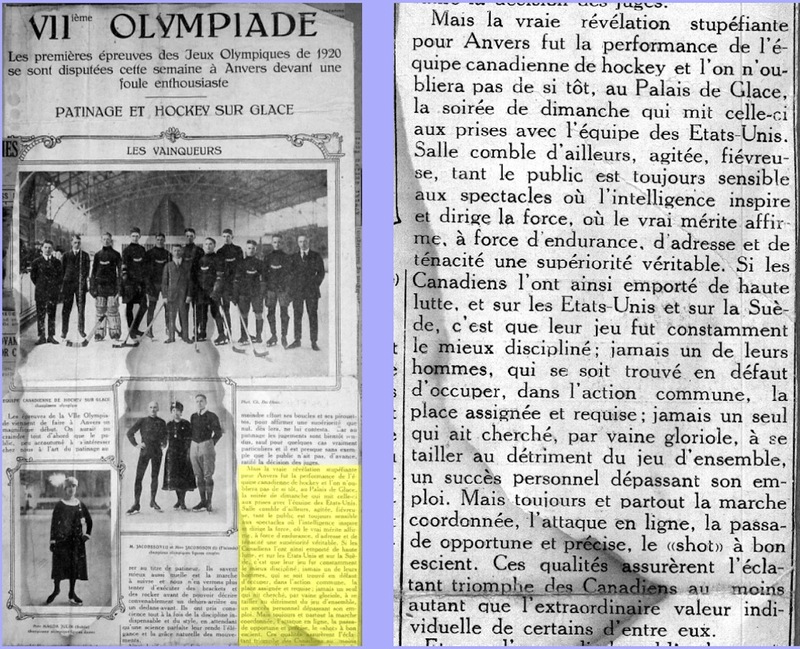 It would expand into a game between the NHL All-Stars and the Canadiens played on October 29, 1939. The All-Stars scored a 5-2 victory in front of only 6,000 people. Still, it was said that the goal of raising $15,000 would be met. 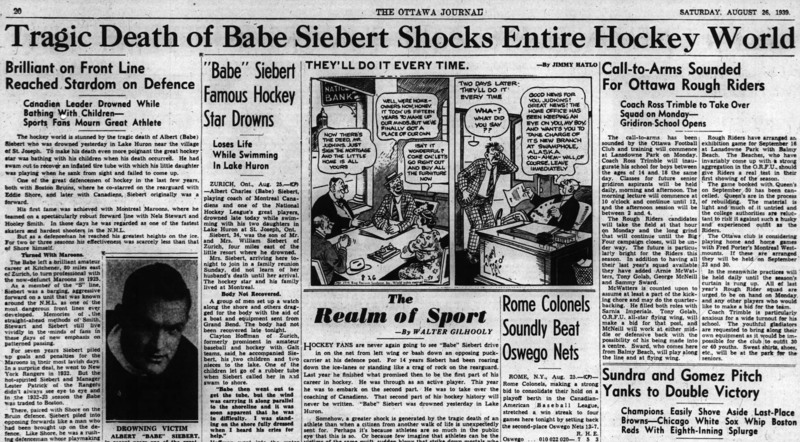 I haven’t been able to learn much about Bernice Siebert’s life after her husband’s death, but she did live to see the Babe voted into the Hockey Hall of Fame in June of 1964 and officially inducted that August. 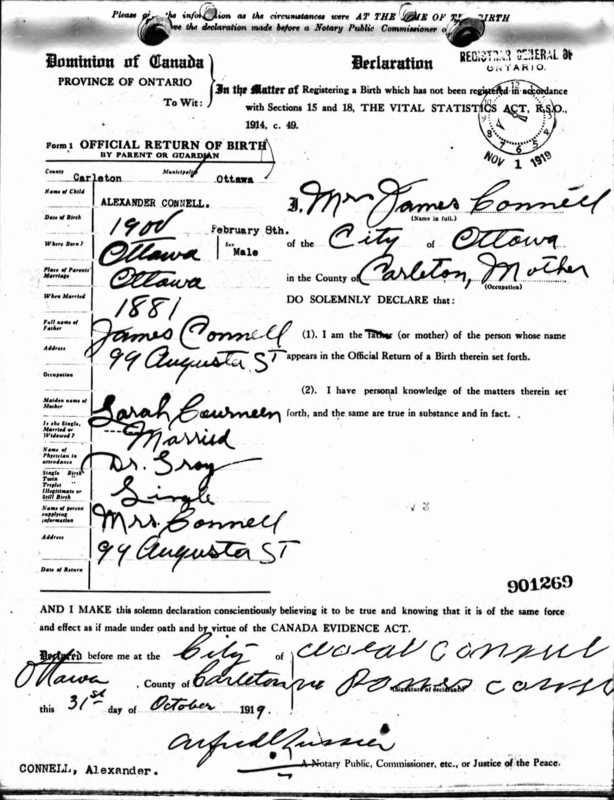 She passed away in Kitchener on November 24, 1964 at age 58. 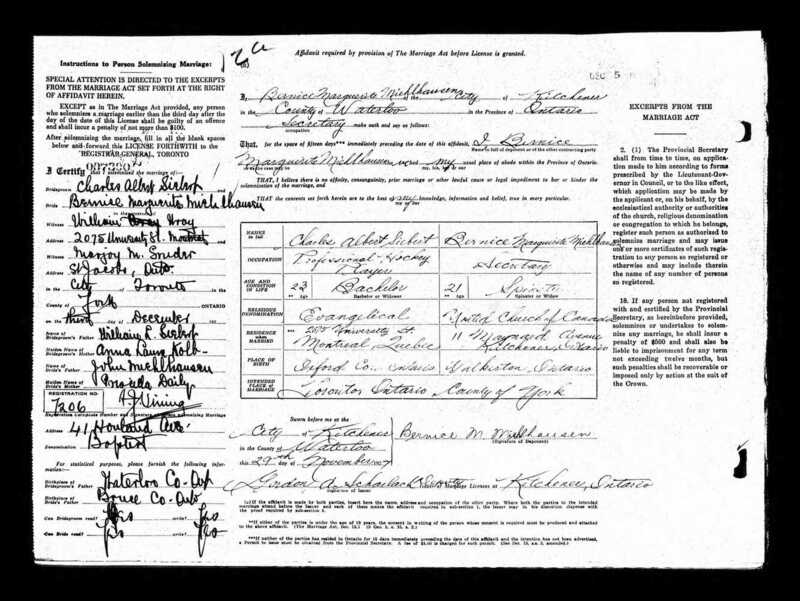 In addition to a brother and three sisters, she was survived by her two daughters and six grandchildren. A contract arrived by courier on Monday for a new hockey book for kids. This one won’t appear until the fall of 2019, but I’m awaiting another contract for two other books (updates to older projects) for adults that should be out this fall. So, after some slow times lately, at least I’ll be busy again for the next little while. I sort of fell into writing for children, but I enjoy it. The truth is, in most cases, I don’t do anything very much different than what I write and research for adults – it’s just that the books are generally much shorter, so they don’t take nearly as long. 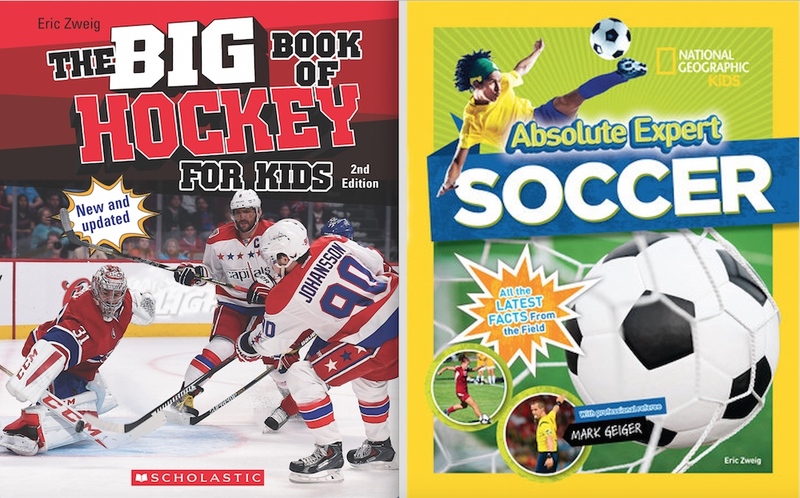 The 2nd edition of The Big Book of Hockey for Kids has been out since September. Absolute Expert: Soccer is due out in late May in time for the World Cup. As I’ve mentioned here on occasion, I currently have seven new children’s books in stores, with one more due out in the spring. That one is somewhat different for me in that it’s about soccer, not hockey. Fortunately, since it’s for National Geographic Kids, they were much more interested in a book about the history and geography of soccer than a “how-to-play” manual … despite the title! It’s a beautiful book, and the research for it was a lot of fun. Plus, I was paired with US Soccer and MLS referee Mark Geiger, who was most helpful when I had questions. He also wrote some great personal stories that appear throughout the book. The Original 6 series for Crabtree Books received a very nice review recently. I think you’d be surprised at how many of the stories I’ve posted on this web site, as well as how many stories for my adult books, and how many updates and corrections to the NHL Official Guide & Record Book, have come from discoveries I’ve made while researching and writing my children’s books. 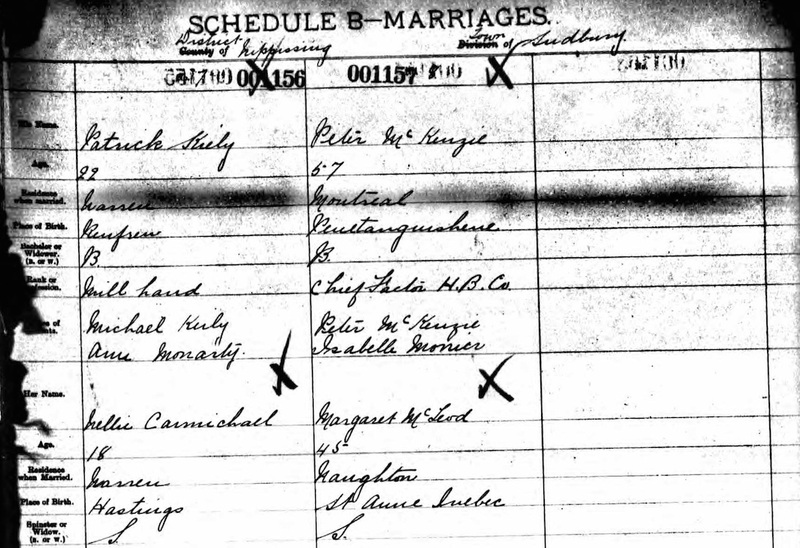 For example, all the information I discovered for the story I posted last summer about Godfrey Matheson came as a result of the Chicago Blackhawks book in The Original 6 series. 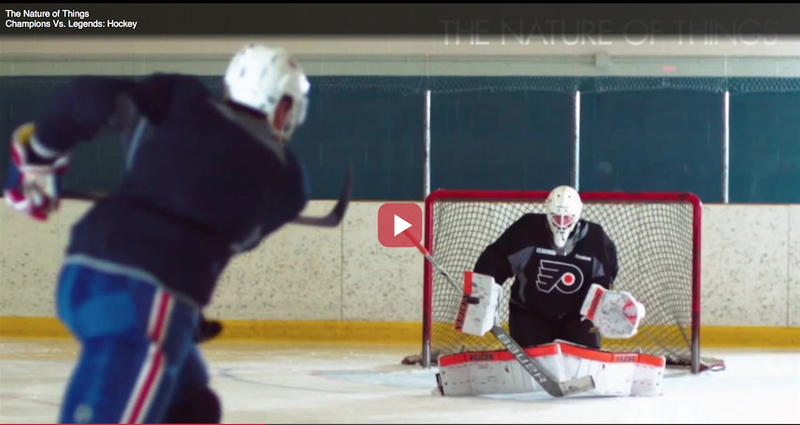 The genesis of today’s story comes from the New York Rangers book. 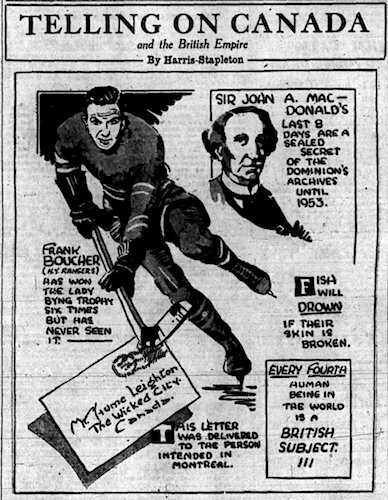 The article on the left is from the Brooklyn Daily Eagle on March 24, 1930.
shortly before Boucher won the Lady Byng Trophy for the seventh time. 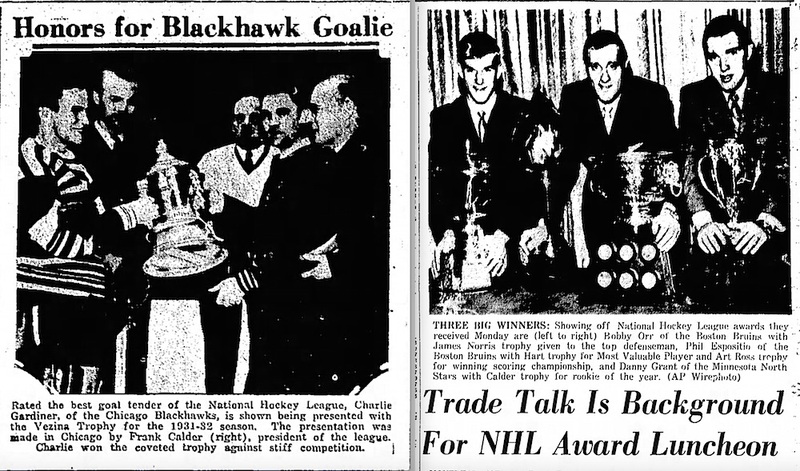 It appears that until the 1960s, the practice of handing out trophies to NHL players (as opposed to just announcing who’d won them) was hit and miss. 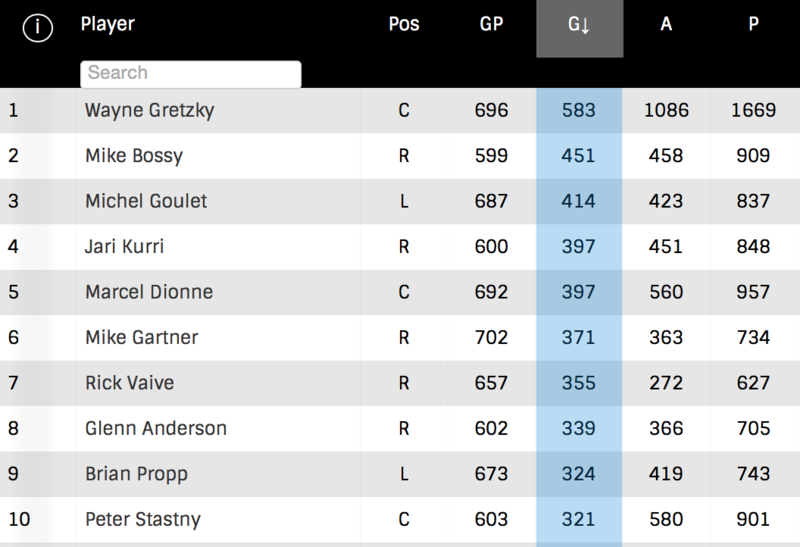 The Hart Trophy for the NHL’s most valuable player was donated to the league in 1924. 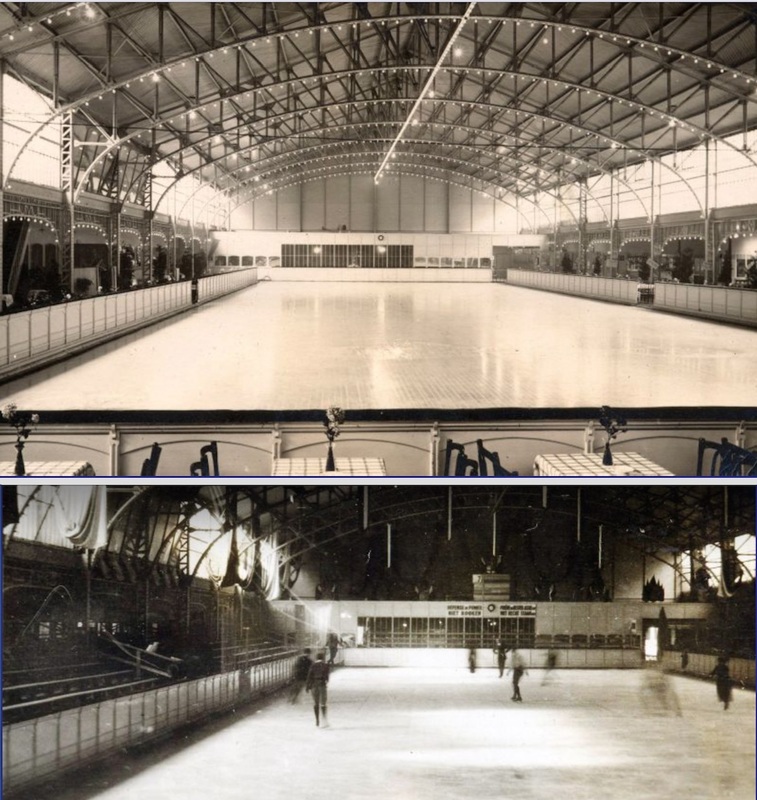 It was presented to the first winner – Frank Nighbor of the Ottawa Senators – on the ice prior to the final game of the NHL playoffs on March 11, 1924. 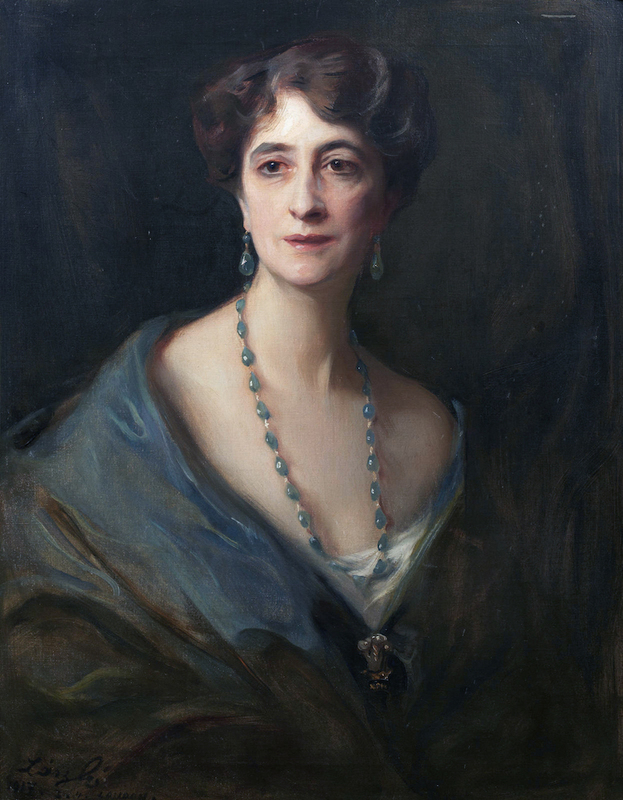 The presentation was made by Lord Julian Byng, Canada’s Governor-General at the time. 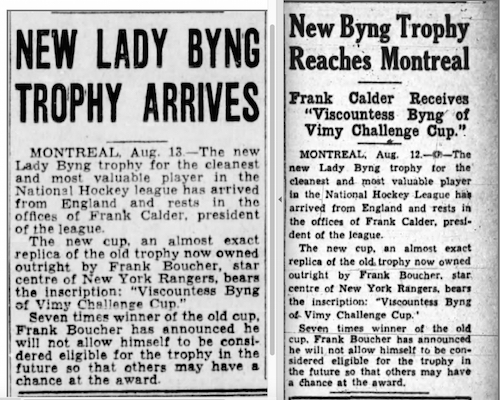 Almost exactly a year later, Lady Evelyn Byng presented Nighbor with the new trophy she’d just given to the NHL. In the following years, it appears that sometimes the NHL trophies were presented on the ice, and sometimes at team banquets for Stanley Cup winners when those teams also boasted an individual award winner. 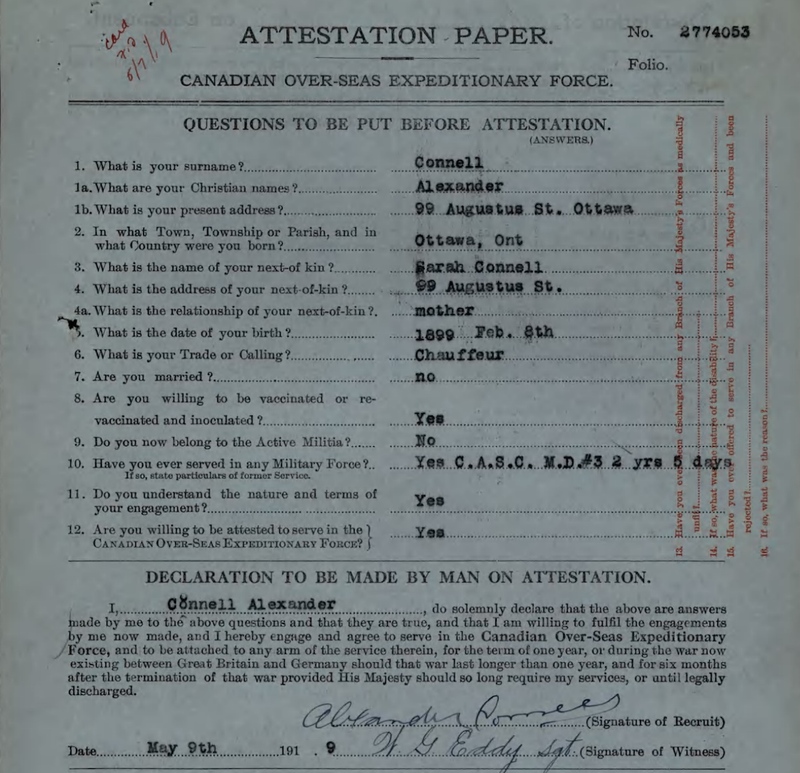 And, obviously, based on Frank Boucher’s experience, sometimes they weren’t presented at all. But one trophy always was. 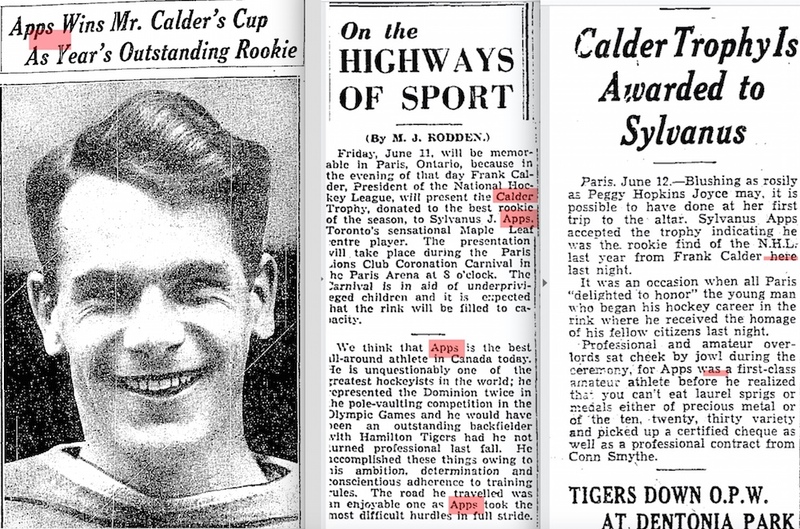 Beginning in June of 1937, NHL president Frank Calder presented each winner of the rookie of the year with a trophy he bought for that player to keep. 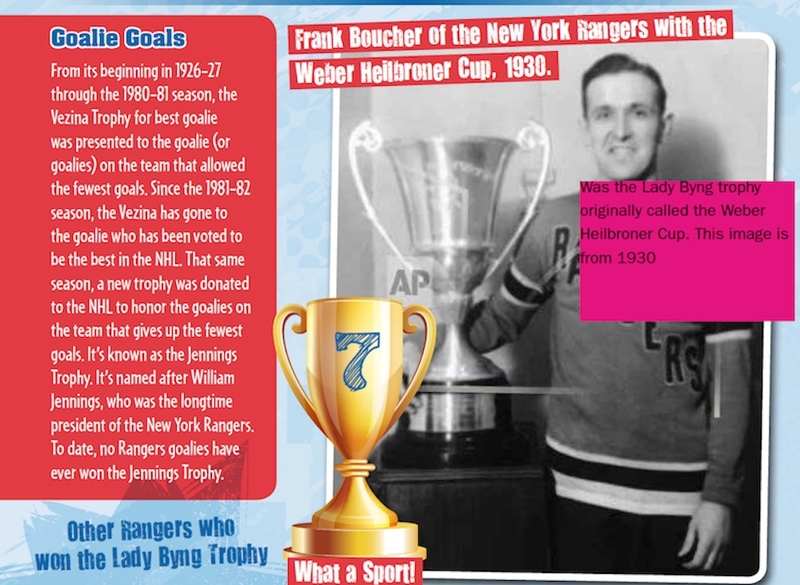 After his death in 1943, the NHL created the Frank Calder Memorial Trophy as a permanent remembrance. Syl Apps was the NHL’s rookie of the year for 1936-37. 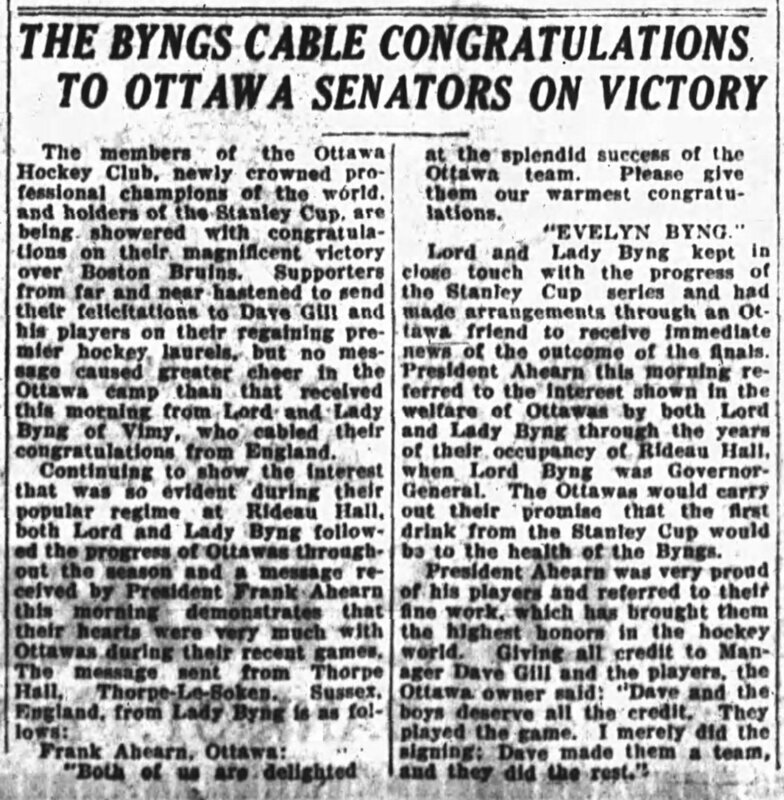 Writing in the Toronto Star on June 14, 1937, Andy Lytle says that it was he who’d suggested the trophy idea to Frank Calder, and that Calder decided while on the train to Paris, Ontario, from his office in Montreal that because the winners would never be rookies again, they should get to keep the trophy. This photograph of Charlie Gardner receiving the Vezina Trophy (minus its elaborate base) appeared in several newspapers following the presentation to him on March 29, 1932. The AP Wirephoto on the right is from the 1969 NHL Award Luncheon. During the 1970s, the NHL Awards ceremony changed from a luncheon held during the Stanley Cup Final to a dinner held after the playoffs were over. The NHL Awards were aired on live television for the first time in 1984.